I just want to brag for a minute and express to you how much fun I had at the Coldplay concert. If you are a self-proclaimed Coldplay fan and have never been to a concert, don’t be that person anymore. 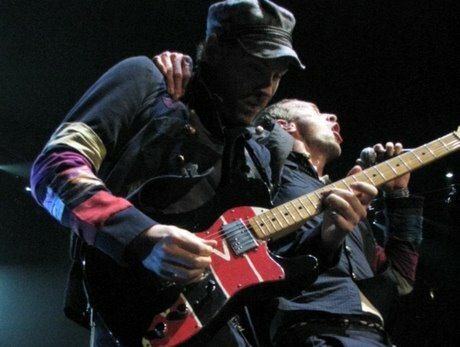 They are amazing and Chris Martin is a crazy man on stage. The energy definitely transferred to fans, who Chris Martin complimented for being so in form on a Tuesday night. During “Lovers in Japan” day glo paper butterflies fluttered down from the rafters. At one point they come into the crowd and sang “The Scientist”, before which they ran past my date waiting in line for his beer. And they ended the show with an encore, “Yellow”.